This male Broad-snouted Caiman is over 20 years old. 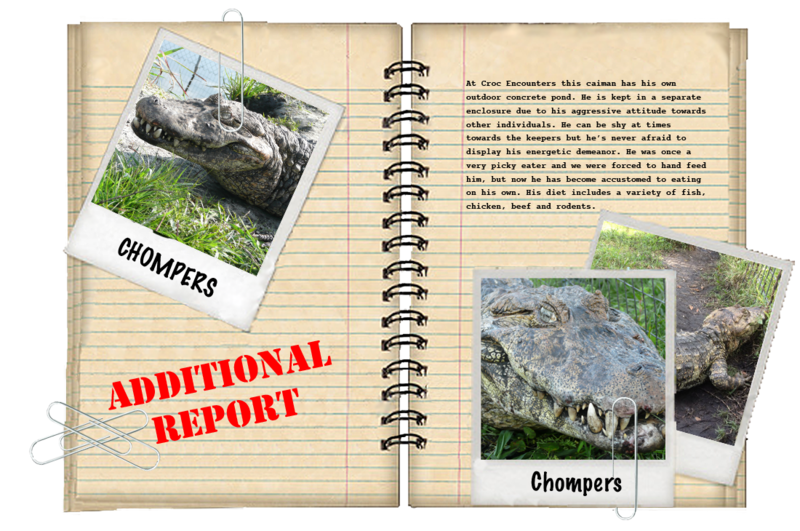 Chompers is a well traveled animal that has led an interesting life before ending up at Croc Encounters. As a youngster he was at the Bronx Zoo in New York. From there he became a display animal at Wild World. Eventually Chompers ended up at the San Francisco Zoo in California where he spent much of his life. He was stolen from the zoo and assumed gone for good until he showed up three months later tied to a tree in a park. After changes in the zoo and display animals, Chompers became an off-exhibit animal. 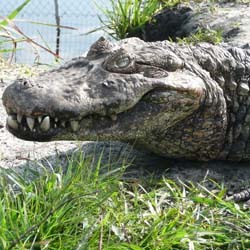 The zoo decided to retire this animal at Croc Encounters where he could be in an outdoor enclosure and available for the public to view. Chompers is unique because he is a rarity to see even in zoo collections. 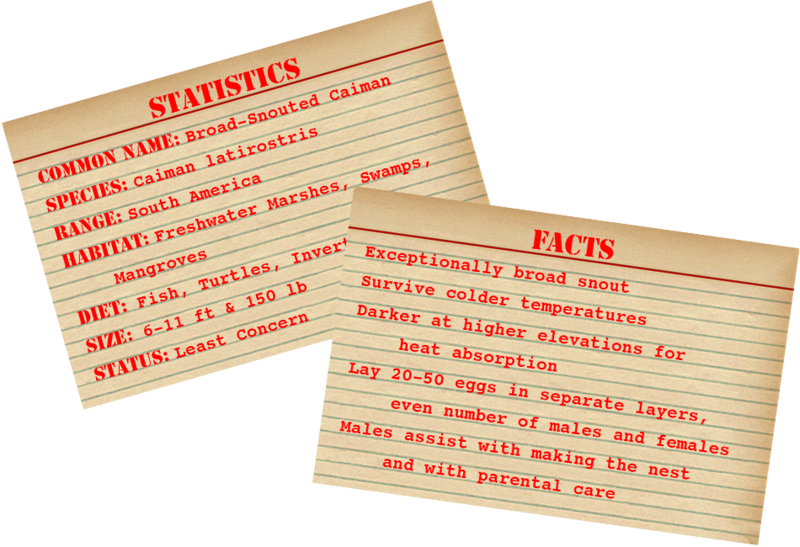 Even though he may look like an alligator with his wide snout, he is just as feisty as other caiman. Chompers resists anytime we attempt to retrieve him for health assessments or to transport to an education program. In fact, he even “chomped” down on John’s fingers during one of these grabs.